Donald Lee Stohl, 87 of Greensburg, passed away, Tuesday, September 4, 2018. He was born March 1, 1931 in Mount Pleasant, a son of the late Frank Oscar Stohl and Hilda May (Armburst) Stohl. Donald was a graduate of the former Youngwood High School in 1949. He attended St. Vincent College then transferred to Penn State University. 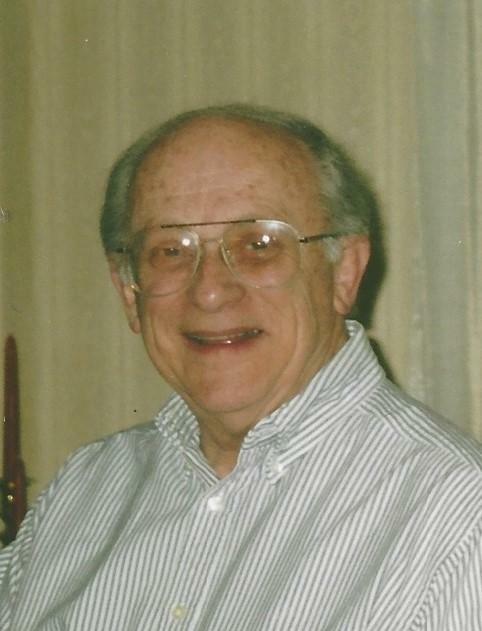 He graduated from Penn State University with a Bachelor of Arts and Letter and Minor in Geography in 1954. While attending Penn State, Donald was very involved in the college life. Donald was Rush and Social Chairman of his Fraternity Kappa Delta Rho. He was also Secretary and Designer of Costume for the Thespian Club. Donald was also Manager of the "Daily Collegian" Penn State newspaper. Donald was inducted and served in the Army in 1954. He received the Good Conduct Medal and was Honorably discharged in May of 1956. Donald began a career in business as a very young man at Bayer's Pharmacy in Youngwood. Donald also worked for Wein Brothers in Brookville, PA and then A.E. Troutman and Joseph Horne in Greensburg. He opened his own business in 1967 in Greensburg "The Coach House Classic Boutique". He also opened a store in Irwin later on. Donald went on to be the Chief Executive Director and Executive Vice President of his own college fraternity Kappa Delta Rho. He increased the Chapter from 15 to 48 Chapters at the time of his retirement. After retiring from KDR he moved on to D&K Antiques collecting and selling White Ironstone. Donald was very involved in clubs and had many accomplishments in his lifetime.He was a lifetime member of the National Fraternity Association. He served as President for several years and reestablished The Laurel Festival in Brookville, Pa. Donald was President, Instructor, and created many Art Shows at the Greensburg Art Center. He was the President of the Rotary Club. Donald served as secretary of the Westmoreland Symphony Board of Directors. He served as Chairman and President of the Central Westmoreland Republican Party and received the "Bill Tuscano Award". He was the First President and founder of our local historical area "Academy Hill". Donald worked hard together with others to get the historical recognition of this area with the State of PA and resided in Academy Hill until his passing. Surviving are his children, Kent E. Stohl and Leslie A. Simpson and husband, Jeffrey; grandchildren; Melissa Ann Lowe, Eric Stohl, Morgan Stohl; step grandchildren, Brett and Ryan Simpson; and sister, Janet Stohl. Honoring his wishes, Donald's services will be private. Entombment will be in Westmoreland County Memorial Park.